Tote Box / attached lid container - 28 Litre. 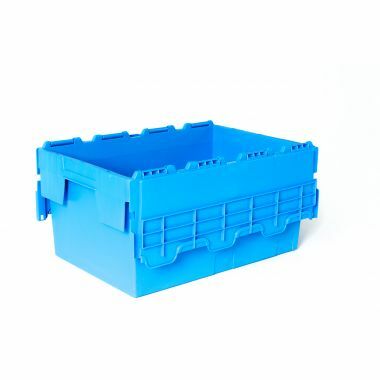 A robust box with attached lid, available in blue or black recycled material they offer great quality and fantastic value. Tote boxes or attached lid containers are perfect for stoarage and transportation applications, offering a long lasting and reliable solution that can be reused time and time again. 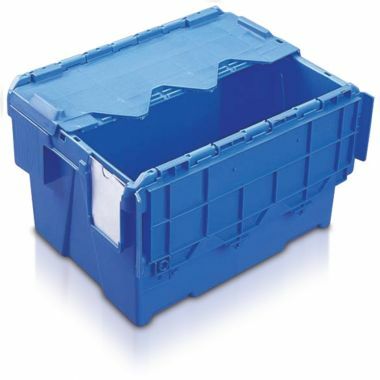 Available in blue or a black recycled material as standard, these tote boxes offer a very cost effective solution ideal for use within a multitude of different environments. The black recycled plastic is not only more environmentally friendly, helping to reduce waste plastic, but also it offers the same fantastic long lasting and durable properties of its virgin material counterpart. Easy handled, the tote boxes possess the ability to be stacked on top of one another when the lids are closed or nested inside each other when the lids are opened. This aids in saving huge amounts of storage space when in storage or in transit and their stepped base design allows for a higher level of stack compatibility within mixed stacks. 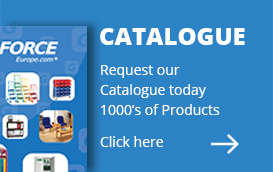 Why buy Tote Boxes - 28 Litre? Super tough plastic - Designed specifically to be re-used time and time again these attached lid containers offer a reliable and long lasting storage solution. The tough and durable polypropylene plastic offers durability and stability, even with the recycled material option. 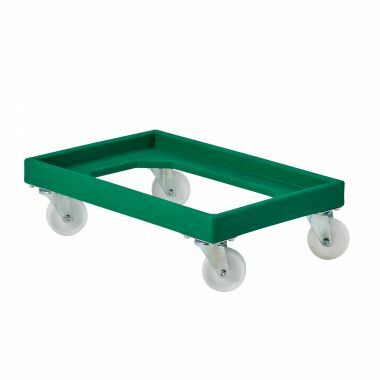 Fantastic design - Perfect for storage and transportation applications the 28 litre tote boxes are designed ideally for ease of use. Boasting superbly quiet running features and interference free lid movement. Available in recycled material - These 28 litre tote boxes are available in blue, or alternatively in a black recycled material as standard. Helping to reduce the amount of waste plastic the recycled tote boxes offer a more cost effective and environmentally friendly option. Other colours are available but order quantity restrictions may apply.